It may be August, but it’s never too early to start planning for the holidays. If you start now, you have time on your side, and you can stage a successful Small Business Saturday event that will have everyone talking! Download a count-down calendar to add to your website, add a paper count-down calendar in your store, or share the Small Business Saturday countdown calendar on Facebook and Instagram. Work with another local business to offer creative packages: buy a donut in my shop, get 20% off your purchase at the hardware store–just show the donut receipt. Be creative and have fun, and experience the excitement with other local merchants. 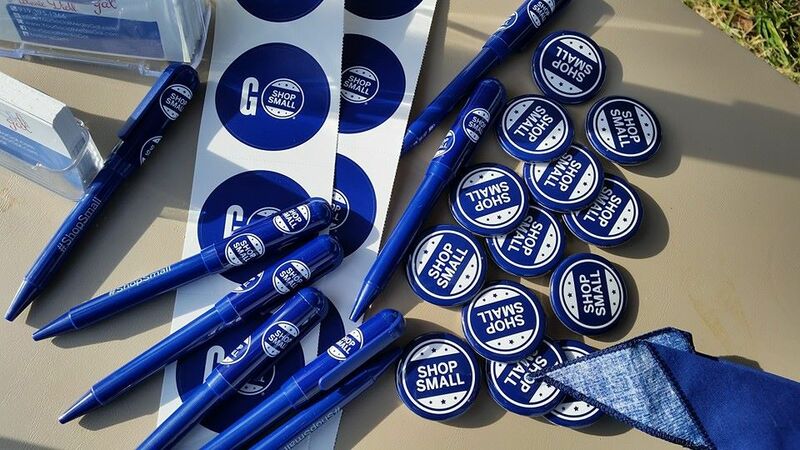 Small Business Saturday has done the hard work: social media posts and hashtag campaigns have already been created–jump on the bandwagon. Tweet about it, post it on Facebook, tag your Instagram photo. No need to reinvent the wheel! Make it easy to collect email addresses: use QR code to join your list, text to join, paper sign-up at register, enter into POS at time of sale, customize your printed/digital receipts with your social links to follow/like, etc. Give them a reason to join your list—maybe offer an additional discount that is only good for your Small Business Saturday customers. Think outside the box! Well before your event, create your email follow up campaigns. Then, on Sunday (or Monday), just upload your new contacts, and hit the send button. Make it a little easier on yourself.